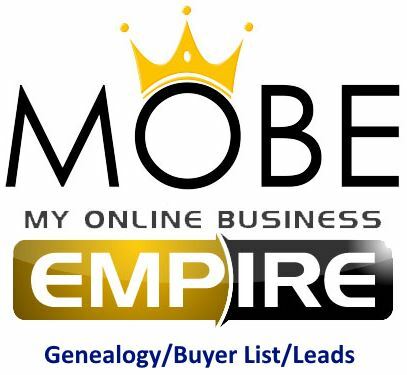 The hottest MLM Buyer Genealogy List Out There – This is the One We’ve All Been Waiting For! This is a super hot list of the now-closed MOBE Business Opportunity buyers. These are all of the people who have purchased the MOBE (My Online Business Empire) opportunity. MOBE had many different program names, scroll down to the end to see a partial list of those names. These are super hot leads because you know they have spent money on a big-ticket online MLM Business Opportunity. This makes them more likely to spend money on another opportunity or marketing system which means they are great prospects for you to pitch your offers to. If you have any experience in MLM or Bizops then you must realize that these are the hottest kind of list to purchase and contact. These are perfect for texting, emailing, ringless voicemails campaigns, calling, etc. We can help you contact them if you need help just contact us. This list has been broken down into two separate lists. One with buyers that spent less than $1,000 and one with buyers who spent around $1,000 or more. We went one step further and ran both of these lists through a phone list cleaning system that identifies whether a phone number is Wireless/Mobile, Landline, or VOIP. Raw CSV File of MOBE Buyers At Lower Levels. Approximately 180,000 Records. Cleaned CSV File of MOBE Buyers At Lower Levels. This is list #1 that has been de-duped and shows what kind of phone number is included. Approximately 110,000 Records. Raw CSV File of High-Ticket MOBE Buyers. Approximately 40,000 Records. Cleaned CSV File of High-Ticket MOBE Buyers. This is list#3 that has been de-duped and shows what kind of phone number is included. Approximately 25,000 Records. The fields that are included in this list are: Full Name, Full Address, Country, Email Address, Phone Number, What They Purchased. In the cleaned files we include an additional field called “Phone Type” that tells you what kind of phone number it is. W = Wireless/Mobile. L = Landline. V = VOIP. Due to the nature of this list, we will only be offering this to a very small group of people. When we reach that number, this will not be available. This list falls under our bulk list category and does not qualify for any kind of lead replacement. Don’t miss your chance to market to HOT, PROVEN MOBE (My Online Business Empire) Business Opportunity Buyers. MOBE had many different program names that you may have seen, here is a partial list of some of them: 21 Steps Ultimate Dot Com Lifestyle, 21 Steps – My Online Profits, Rookie Profit System, My Millionaire Mentor, 21 Steps – Millionaire Coach, 21 Steps – 45 Minute Paydays, Top Tier Side Income, Wifi Millionaire, MOBE MTTB (My Top Tier Business), 21 Steps – 7 Figure Freedom Formula, 21 Steps – MTTB, Limitless US, 21 Steps – Automated Daily Income, 21 Steps – Ultimate Retirement Breakthrough, My 7 Figure Nest Egg, Laptop Lifestyle System, Borderless Income System. 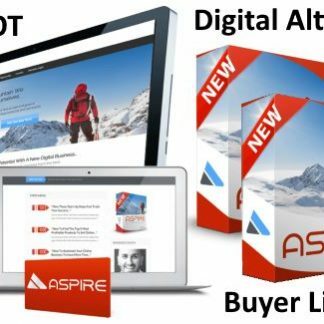 Super Hot List of Digital Altitude Business Opportunity Buyers.